Welcome to the Swedish BPSD register! Dementia is a disorder which is becoming increasingly prevalent in our population and leads to varying but major consequences to the individual, their relatives and society. In Sweden alone, there are currently ~150 000 individuals with a diagnosis of dementia, and out of these about 50% live in a dementia care home. Dementia is classically characterized by declining cognitive functions such as memory, orientation, language and thinking ability. In addition, these individuals often also experience behavioural and psychological symptoms in dementia (BPSD). BPSD are described as a change in behaviour which is demanding for those around the patient (e.g. aggression, shouting, wandering), as well as psychiatric symptoms that are troubling the individual (e.g. anxiety, depression and hallucinations). Severe BPSD are often associated with more advanced dementia. BPSD are common reasons as to why individuals are in need of residential care, prescribed medication and polypharmacy. At the moment, subsequent evaluation of medication is often overlooked, which sometimes means that individuals may have both negative outcomes as well as unwanted side effects from medication. The aim with the BPSD register is to improve the quality of care of patients with dementia and to achieve a national standard of care in these patients throughout Sweden. The register has a clear structure which relies on outlining the frequency and severity of BPSD using the NPI scale (Neuro Psychiatric Inventory), documenting current medical treatment, providing a checklist for possible causes of BPSD and offer evidence-based care plan proposals to reduce BPSD as well as evaluation of the interventions employed. This structure generates an individual care plan providing support in the care of people with dementia. The registry has been operating in since November 2010 and is in use throughout several regions of Sweden. Reduce the frequency and severity of BPSD. Reduce medication use in patients with BPSD. Allow health professionals to work in an evidence-based manner and evaluate their care interventions. 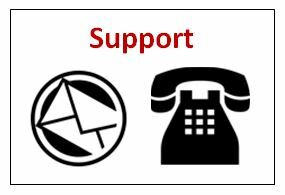 Allow the health care team to work towards the same goal and provide support and reassurance for the patient. 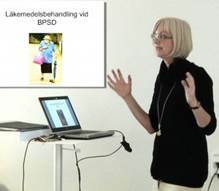 For more information, please look at our information video about the Swedish BPSD-register. It is subtitled in English.